Chances are that you’ve heard people talk about medical records in the past or maybe even heard them discussed on the news. The truth is, there are so many facts and myths surrounding medical records that it can be difficult to keep it all straight. 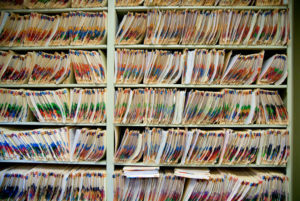 If you are looking to get some of your questions surrounding medical records answered, Order Medical Records can help. Medical records are a compilation of your medical history. They contain notes from your physicians, diagnostic results, test results, diagnoses, conditions, and more. These records are kept by your physicians and housed in a safe place. With information regarding your entire health history, medical records are essential documents. Do I have access to my medical records? Yes, you absolutely have a right to access your medical records. HIPAA dictates that patients have a right to copies of their medical records and you can actually appeal medical records and request changes if necessary. While the original files and records are the property of the physician’s office, you have a right to copies of your records. Why would I need a copy of my medical records? There are several reasons why you might need copies of your medical records. The first is if you get a new doctor for whatever reason. Whether you move or switch simply because you do not like your primary physician, they will need copies of your medical records in order to give you the informed care that you deserve. In addition, if you are seeing a specialist or trying to compile a family medical history, you may also need copies of your medical records. Getting access to your medical records may seem easy in theory, but it can be anything but. Not only do you have to call your doctor and request them, but you also have to drive there, wait in the office, and collect the files, and then battle traffic to head back home. It might not seem too difficult but the process can actually be extremely frustrating and can be very time consuming. If you are looking to obtain copies of your medical records, let Order Medical Records help. You might be wondering if there is an easier way to obtain copies of your medical records and the answer is yes. If you are in need of copies of your medical records, Order Medical records can help. Our ordering process is extremely simple and will take just a few minutes of your time. You never know when you will need copies of your medical records, so it’s important to have a trusted resource like Order Medical Records on your side. For any and all medical record requests, visit us on the web at Order Medical Records. We look forward to hearing from you!